This was an easy, quick Sunday night dinner for my little family! 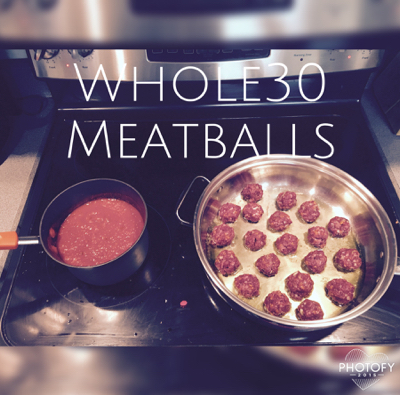 Whole30 approved too & kid approved! Yes! Mix all the ingredients together & start rolling! This is fun to do with your kiddos too! Heat 2 tablespoons olive oil & start browning your meatballs! Mix in with your own homemade marinara (I just do onions, garlic, tomato paste, blended up petite diced tomatoes, salt, pepper & Italian seasoning). Enjoy!